Another excellent challenge is taking an existing icon and developing a character around it without losing the iconic mature of the original image. 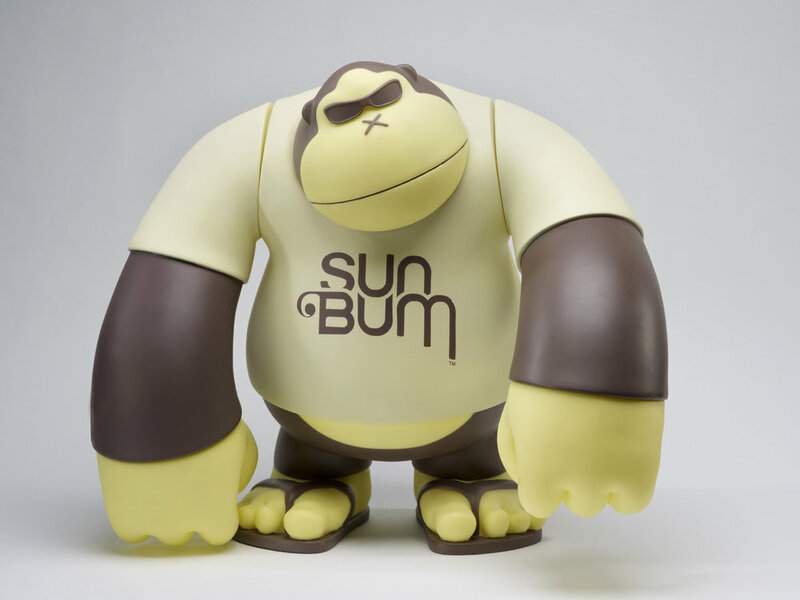 With Sun Bum, we were able to take their "ape face" logo and create a full-bodied character that conveyed the laid-back nature of their brand direction. 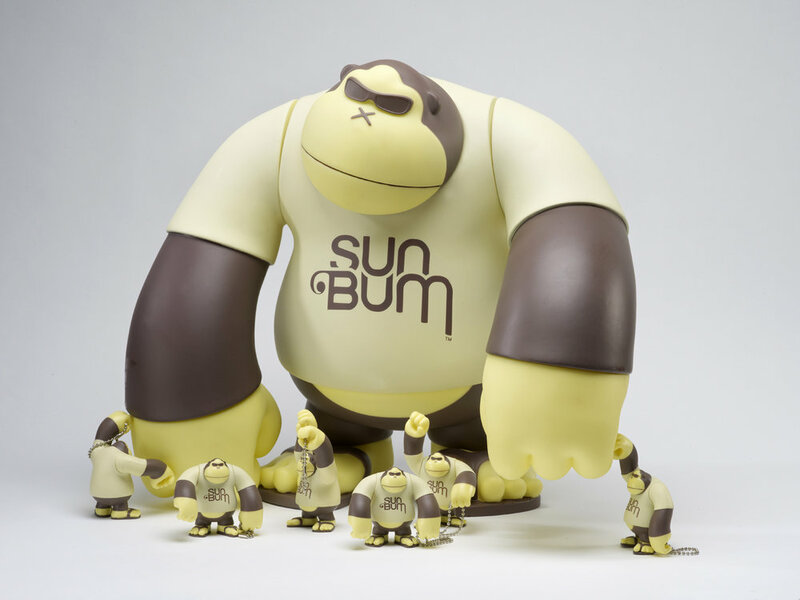 From the digitally-sculpted figure we designed and produced massive 16" tall vinyl figures to be used as in-store displays, 9" vinyl collectables, as well as 2.5" key chain figures used as in-store and trade-show premiums. The results have been positively remarkable, with Sun Bum running out of keychains almost immediately, retail stores reporting dozens of sales inquiries for the 18" display figures, and an immediate re-order by the client for more figures.